Circles.Life has once again shaken up the telco industry in Singapore with the launch of a ‘try-before-you-buy’ business model. 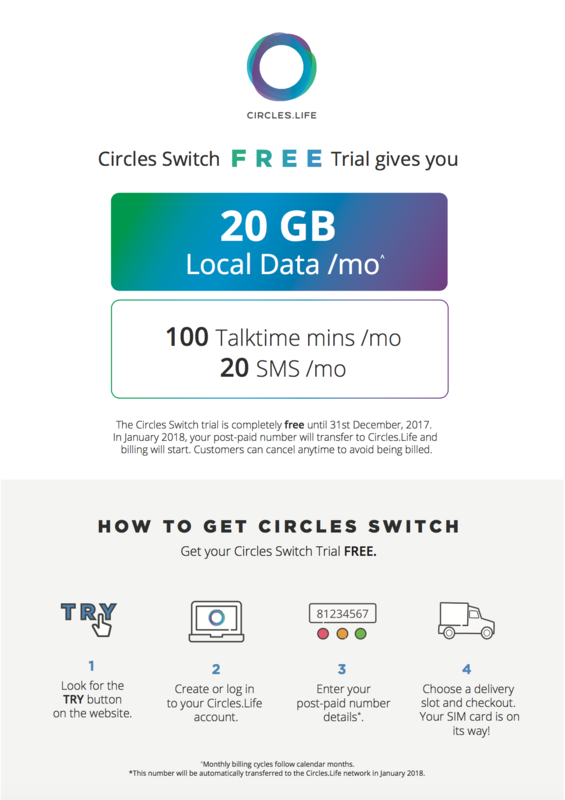 Circles Switch offers customers a free SIM-only line with 20 GB monthly local data, 100 minutes of talk-time and 20 SMS messages. The plan also promises no hidden costs whatsoever – no delivery charges, no registration fees nor SIM card costs. Running from today till 31 Dec 2017, it is targeted at customers who are about the end their contracts with other telcos, and “are tired of being tied to lock-in contracts and want to experience a new way of life where they can surf, post, game and stream without constantly worrying about busting their monthly data caps or the inflexibility of contracts”. We want people to feel the power of an end-to-end digital telco service. We want people to feel the power of a Circles.Life no-contract plan over so called ‘subsidised’ 24-month contract plans. 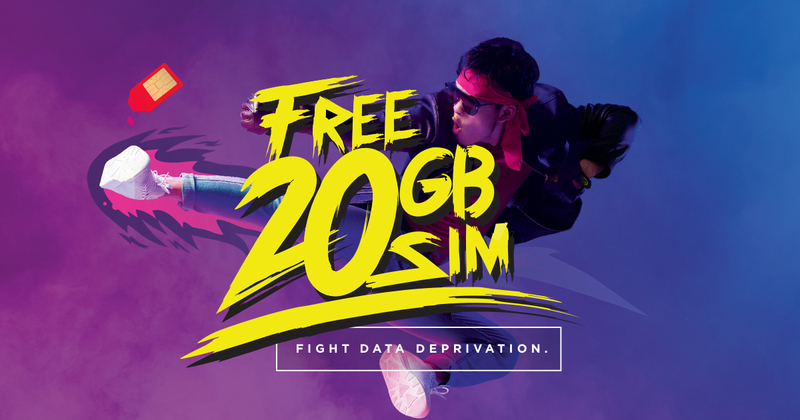 We want people to feel the power of 20 GB /month. Circles Switch makes it possible for people to try out our service for free. We are doing this because we are confident they will switch to a full Circles.Life plan. With Circles Switch, consumers will automatically switch over to a full Circles.Life base plan after the free period is over. Those who wish to cancel the plan would need to do it anytime before the free period is over to avoid being charged. 15-month-old Circles.Life is confident of hitting their local market share target of three to five percent 2 years earlier than expected. With a focus on customer empowerment and customer satisfaction, they have managed to clinch an industry-leading Net Promoter Score (NPS) of 54, – “significantly above the competitive average of -25”. The telco also has plans to go regional starting 2018, with Indonesia confirmed as their next stop. They are currently operating at Block 71 in Jakarta and are focused on building the local team there. Check out the new Circles Switch plan here!